Stonehouse Gallery is pleased to present this spectacular and popular Annual Exhibition. The Melbourne Teapot Exhibition features both functional and non functional sections in diverse creative disciplines. 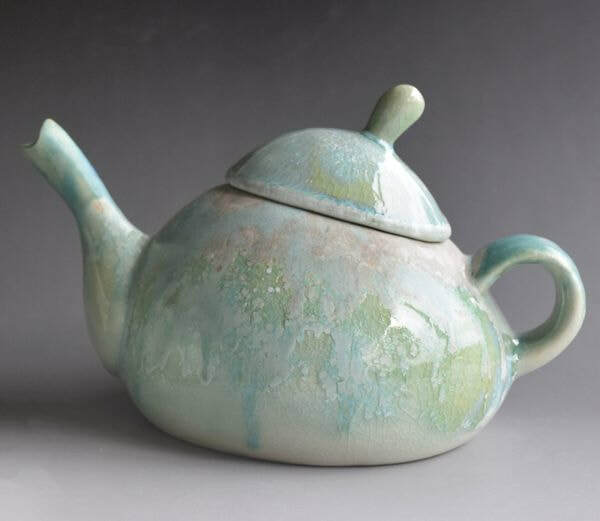 Now in its 13th year, the Melbourne Teapot Exhibition gives artists and makers of diverse disciplines the opportunity to explore and interpret the teapot form within their individual field of expertise and materials. Makers and Artists from all over Victoria and Australia participate in this fabulous exhibition. The many visitors and collectors who visit the exhibition delight in the fun range of quirky, funky, crazy teapots made in a variety of materials and also the well designed practical teapots. All entries are able to be purchased. The exhibition aims to encourage artists and makers to excel in their creativity and offers awards in cash and vouchers to the value of over $2200. To be announced at the end of the Exhibition. Congratulations to all the talented artists who entered the Exhibition. We had some magnificent teapots this year in both functional and non functional categories. We thank you all for your participation. Many thanks to all our sponsors, without your wonderful generous support this great event would not be possible. Your contribution helps us to promote not only our local art community but also all Australian artists in general and our wonderful Warrandyte.